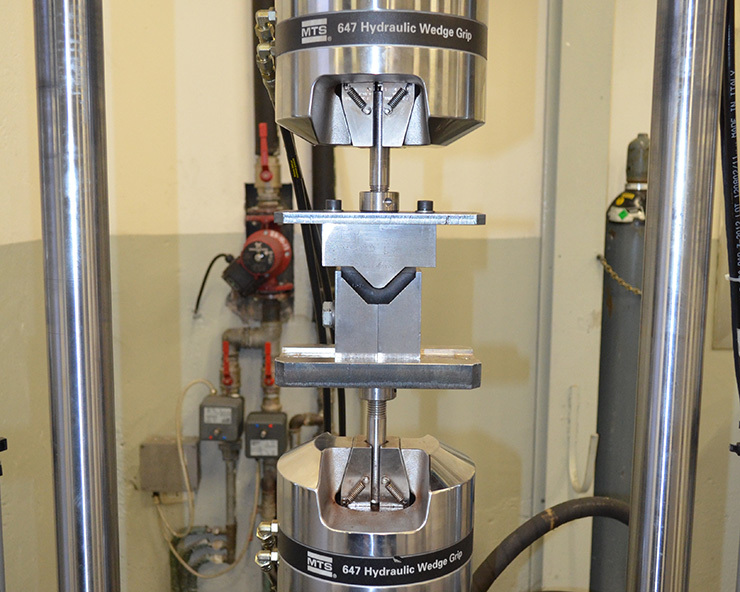 In the development of resilient wheels for trams and metros, an extensive characterization of the rubber elastic component is fundamental. 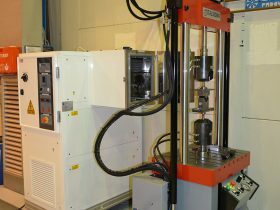 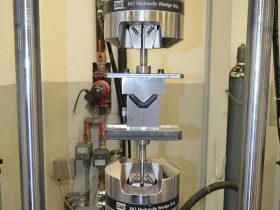 This mono-axial test machine enables various tests static and dynamic on the rubber block reproducing the actual fitting conditions inside the wheel. The thermal chamber permits to perform the same tests in a large temperature range reproducing extreme environment conditions from -40°C to +150 °C.